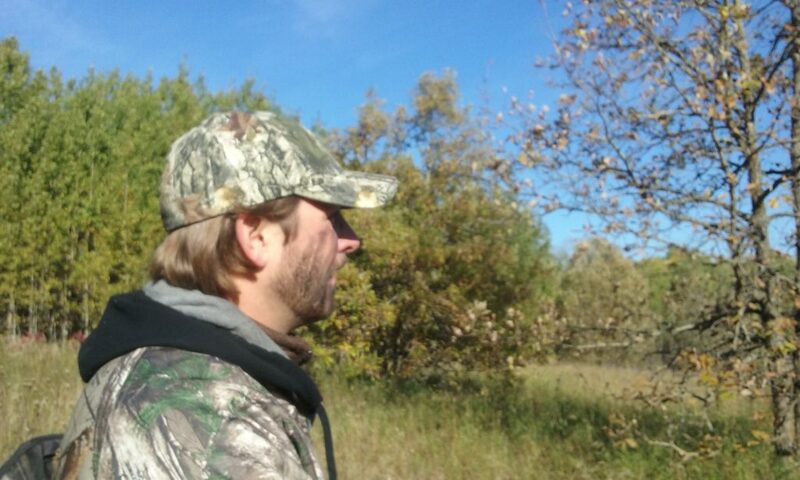 How do you stay in shape for hunting? When I was in my twenties and thirties this question did not enter my thinking. But now that I have breached the half century mark I understand the need to be intentional about my health. I recently read an article in the winter 2018 issue of Backcountry Journal by Dr. Erika Putnam outlining Yoga exercise titled, Yoga for Hunters. 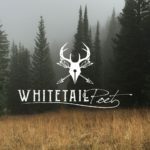 In this excellent read Dr. Putnam cited five qualities that Yoga can transfer to hunting; flexibility, strength, balance, breath control, and focused intention. These are qualities I gain from Taekwondo training as well, and inspired me to write a piece about my own habits for staying fit in the field. 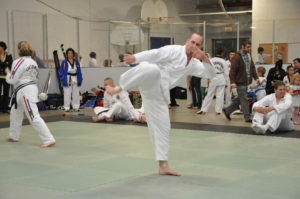 Taekwondo is the conditioning style that helps me become a better hunter and offers a wide range of health benefits. Taekwondo is a Korean based martial art that has become very popular throughout the world. It is a vigorous training style, but can be tailored to fit your age or circumstance. In other words, you do not have to punish your body with full contact techniques if you’ve passed the durable years of youth. The older Taekwondo practitioner can focus on footwork, balance, and smooth body mechanics. Most towns and cities have qualified Taekwondo instructors, or other martial arts schools to join, but with today’s access you can also find great on-line training options for rural areas. You can supplement your workouts with brisk walking, light weight lifting repetitions, or other activities, like bicycling, or swimming, that suit your lifestyle. The balance, focus, endurance, and strength you will gain from Taekwondo, or other martial arts are priceless, and will supply a valuable edge when pursuing ole woolly! The five tenets of Taekwondo are: courtesy, integrity, perseverance, self-control, and an indomitable spirit. These tenets transfer to every aspect of daily living. When you train consistently, the physical and mental disciplines of Taekwondo become intertwined with your spiritual make-up and will sharpen every area of life making you a better hunter. The work you put in during the off season will pay off when you hike beyond the average hunters reach to non-pressured zones, sit motionless for hours while hidden in natural ground cover, traverse beaver dams in the dark of night, maneuver difficult grades, execute a good still-hunt, or steady your bow shot during the moment of truth. There are many great options for maintaining your stamina for hunting season. Taekwondo, with the added benefits of walking, and light weight lifting, are my preferred methods of training for the chase. Find what works for you; just remember to consult your family pyhsician before embarking on a rigourous regimine such as Taekwondo. Life is a gift; treasure it, take care of it, enjoy it, share it. This story is from my youth. 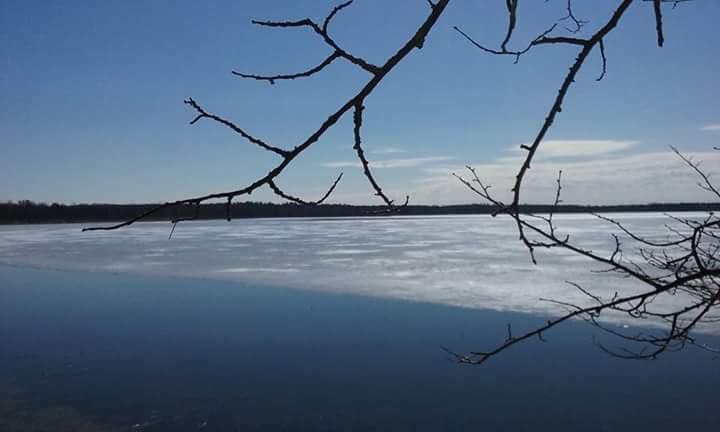 It was an early spring day at our cottage on Round Lake in Northern Minnesota. I was exploring… as I often did. Remnants of snow hid under sprawling pine branches at our cabin on Second Bay. The air was filled with the warmth of spring. The forest had awakened after its annual slumber and receding lake ice opened a channel for my first paddle of the year. We had an old two-man Folbot Kayak. It was turned over for the winter, waiting by the beach for its summer friends. The Kayak was heavy, indestructible, but sleek and fast. It consisted of a wood frame wrapped in red Mahogany with thick padded seats and flip-up back rests for top-side cruising. As I pushed the craft into the frigid water, Blondie, a mix of Cocker Spaniel/Poodle, and Sheepdog, eagerly joined me and bounded into her front seat look-out. It was late afternoon and a cool wind skipped off the ice. A slight ripple danced on the breezy side of the lake. The double-sided paddles propelled the stream-lined boat as I pointed the it towards Third Bay, an undeveloped section of shoreline that held a sense of mystery. 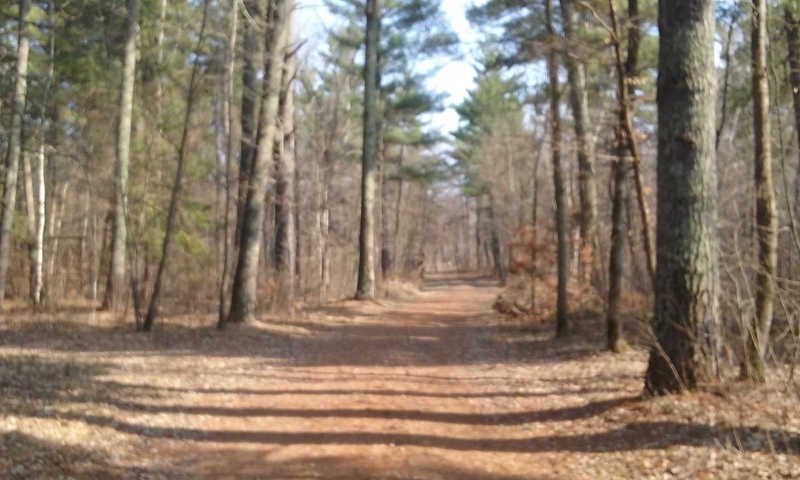 A thirty-yard corridor allowed water-access to my retreat, Round Lake’s watery sanctuary. I maneuvered the Folbot through a network of reeds and observed several Geese paired up for the mating season. Their chatter filled the cloudless air. A Muskrat with cautious eyes swam for cover and a solitary Loon dove deep when I floated to close. I navigated across the bay as the distant shore of Many Point Scout Camp beckoned. Water ran down the oars with each graceful stroke, diverted by rubber gaskets, and trickled into the tranquil bay. The sandy lakefront stretched on for about a mile, cluttered with dried reeds and drift-wood, the banks pushed up from years of ice erosion. The needle covered trails were soft from the snow melt. Blondie raced ahead, shaggy fur wet up to her belly and occasionally paused to look back and make sure I followed. I gradually circled back to the lake and gazed out over the icy blue water as daylight began to slip away. Shadows reached out from the western shore. Darkness descended upon the lake as I glided to the opposite shore. Temperatures dropped. The crisp air pressed against my jacket as a flock of Mallards flew over-head, their flutter of wings disappeared in the springtime chorus. I hugged the shore as the lane narrowed. A deceitful wind had pushed the ice-flow eastward and cut off my route. I stood and pushed the Kayak through thick, tall, lake grass in several inches of water. At one point I nudged the boat forward as I ducked under low-hanging oak branches while the Kayak scrapped the rocky bottom. I debated ditching the boat in the trees and making the mile-long hike, but I pressed on. Finally, the suffocating ice jam gave way to deeper water and I skimmed over the black waters with a sense of relief. The Kayak pushed onto our beach with a soft muffled thud. Blondie sprang out as I stepped up and heaved the lake wanderer onto the wet sand. Cabin lights glowed under the watchful Minnesota forest as I tipped the Folbot against a tree. I took a last look over my shoulder, and like a silent conspirator, the ice crept closer to the shoreline. Mom had supper ready so I left my imagination at water’s edge and headed toward the cabin. Blondie found her favorite spot and we were both happy to be back after another Round Lake adventure.